Lieutenant Colonel Oliver Lee, M.B.E., was appointed O.B. E.
Lieutenant Aaron Lewis was fatally wounded by a bullet fired from outside the forward operating base Armadillo in Gereshk, Afghanistan. 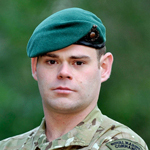 Marine Ross Lewis was awarded the Military Cross in recognition of gallant and distinguished service in Afghanistan in 2014. London Gazette Supp. 61284, page 12288. Captain Thomas Limb received the Queen's Commendation for Valuable Service in recognition of gallant and distinguished services in Afghanistan during the period 1 October 2012 to 31 March 2013. London Gazette Supp. 60647, page 19571. 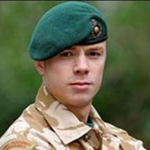 Marine Lewis Lockwood was awarded the MIlitary Cross for gallant and distinguished services in Afghanistan In 2010. Marine Alexander Lucas died of wounds received in an IED explosion. He was a specialist Royal Marine Assault Engineer and his role within Victor Company placed him at the vanguard of troop action. With his specialist skills he provided intimate engineer support to the front line of the fighting troops. As a consequence, he was often the first man into dangerous situations and vulnerable areas, clearing the way for his colleagues to follow. Acting Corporal Adam Mabrouk received a Mention in Despatches in recognition of gallant and distinguished service in Afghanistan. Marine Jason Mackie was supporting IX Company of the Welsh Guards when his vehicle struck an explosive device in the Basharan area of central Helmand, Afghanistan. The explosion killed Marine Mackie instantly and also injured his crew mate. 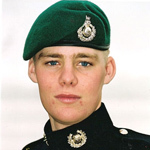 At the time of his death Marine Mackie was serving as a Viking All-Terrain Vehicle Operator in 3rd Armoured Support Troop (AST) of the Armoured Support Group, Royal Marines (ASGRM). 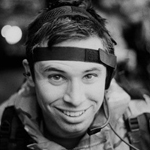 Marine Travis Mackin, Communications Squadron, United Kingdom Landing Force Command Support Group, died in an ied explosion in Kajaki, northern Helmand province, during a joint patrol with Victor Company, 45 Commando Group Royal Marines, and the Afghan National Security Forces. Acting Corporal Bradley Malone was awarded the Conspicuous Gallantry Cross for gallant and distinguished service in Afghanistan during the period 1 October 2008 to 31 March 2009. London Gazette issue 59182, page 15640. Errata London Gazette issue 59211, Notice ID: L-59211-943737. Major Duncan Manning received a MiD in recognition of gallant and distinguished services in Afghanistan during the period 1st October 2007 to 31st March 2008. 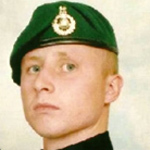 Sergeant John Manuel died whilst deployed on operations with X-Ray Company, 45 Commando Group, Royal Marines. The company was conducting an operation alongside Afghan National Army troops to dominate areas posing a dangerous threat to British forces and the local Afghan population. Whilst acting as the commander of the Quick Reaction Force in support of a company operation, Sergeant Manuel was killed by a suspected suicide bomber. Marine David Marsh, Charlie Company, was conducting a patrol in the vicinity of Kajaki, Helmand province, accompanied by Lieut. John Thornton, when the vehicle they were travelling in was caught in an explosion. Medical treatment was provided prior to both being evacuated to the field hospital at Camp Bastion. Despite the best efforts of the medical team, both sadly died as a result of their wounds. Major Dominic May was appointed M.B.E. (Military Division) in recognition of gallant and distinguished service whilst on operations in Iraq during the period 19th March to 19th April 2003 . Corporal Samuel Joseph McCormick received a Mention in Despatches in recognition of gallant and distinguished service in Afghanistan . Awarded the Military Cross (rank Sergeant) in recognition of gallant and distinguished services in Afghanistan . Appointed M.B.E. (Military Division) (rank Colour Sergeant) in recognition of gallant and distinguished services in the field . 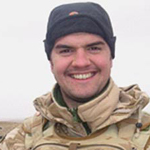 Sergeant Ian McDougall received the Queen's Commendation for Bravery in recognition of gallant and distinguished services at sea during the period 11th to 25th May 2007 . Captain Joseph McElvenney received a Mention in Despatches in recognition of gallant and distinguished service in Afghanistan . Sergeant Paul McGough received the Queen's Commendation for Valuable Service in recognition of gallant and distinguished services at sea in October 2004 . Marine Nigel Mead, Lima Company, was fatally injured in an improvised explosive device blast during a cordon and search operation, partnered with the Afghan National Security Forces, of compounds suspected of being associated with improvised explosive device facilitation in the Loy Mandeh wadi in the Nad ‘Ali district of Helmand province. Sergeant James Melhuish received a Mention in Despatches in recognition of gallant and distinguished service in Afghanistan. 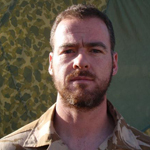 Captain Jeremy Mark Merchant was awarded the Conspicuous Gallantry Cross in recognition of gallant and distinguished service in Afghanistan during the period 1st October 2001 to 31st March 2002 . On the 14th May 1991 it was announced that Corporal (now Acting Sergeant) Jeremy Mark Merchant, Royal Marines, P038781S, had received a MiD in record of distinguished service in Northern Ireland . Promoted Major 12 October 2004 . General Gordon Kenneth Messenger, C.B. D.S.O. O.B.E., was appointed K.C.B. on 11 June 2016 . 16 May 2016 promoted General and to be Vice Chief of the Defence Staff and Aide-de-Camp to Her Majesty The QUEEN . Appointed C.B. 13 June 2015 . Bar to D.S.O. in recognition of gallant and distinguished service in Afghanistan . Marine David Middlemas received a Mention in Despatches in recognition of gallant and distinguished service in Afghanistan. Sergeant Andrew Miller was awarded the Military Cross in recognition of gallant and distinguished service in Afghanistan. Corporal Stuart Miskimmin received a Mention in Despatches in recognition of gallant and distinguished service in Afghanistan in 2014. Sergeant David Montgomery was awarded the Military Cross in recognition of gallant and distinguished service in Afghanistan. Major Huw Morgan was appointed M.B.E. (Military Division) in recognition of gallant and distinguished service in Afghanistan . 30 June 2014 promoted Lieutenant Colonel . London Gazette Supp. 60283, page 18623 published 28 September 2012. London Gazette Supp. 60939, page 14199. Lieutenant Colonel James Morris, OC 45 Commando RM, was appointed D.S.O. in recognition of gallant and distinguished service in Afghanistan during the period 1st October 2008 to 31st March 2009 . Corporal Scott Muir received a Mention in Despatches in recognition of gallant and distinguished service in Afghanistan. 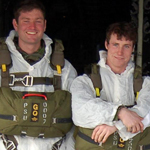 Corporal Damian Mulvihill died whilst taking part in a joint ISAF - ANA patrol engaged in operations near Sangin. The marines of Alpha Company were conducting a clearance patrol to deter Taliban intimidation of local Afghans. It was during this action that an Improvised Explosive Device was detonated, which sadly killed Corporal Mulvihill instantly. He died leading his section and the Company from the front. Lieutenant Colonel Ewen Murchison, M.B.E., was appointed D.S.O. in recognition of gallant and distinguished service in Afghanistan during the period 1st April 2011 to 30th September 2011 . 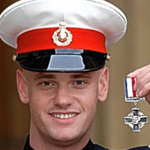 Corporal Billy Murphy was awarded the MIlitary Cross for gallant and distinguished services in Afghanistan in 2010. Acting Lieutenant Colonel Kian Murphy received the Queen's Commendation for Valuable Service in Afghanistan in 2014 . Marine Steven Nethery was awarded the Conspicuous Gallantry Cross in recognition of gallant and distinguished service during operations in Afghanistan. London Gazette Supp. 59182, page 15640. Captain Jaimie Norman was appointed to the Distinguished Service Order in recognition of gallant and distinguished services in Afghanistan in 2007. London Gazette Supp. 58633, page 3612. 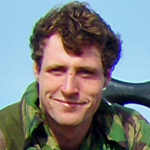 Sergeant Paul Norris received the Queen's Commendation for Bravery in recognition of gallant and distinguished services at sea during the period 11th to 25th May 2007 . He was later awarded the M.C., in recognition of gallant and distinguished services in Afghanistan during the period 1st October 2007 to 31st March 2008 . Acting Sergeant David O'Connor received the Queen's Commendation for Valuable Service in Afghanistan in 2014. Acting Lieutenant Colonel Simon O'Herlihy was appointed M.B.E., (Military Division), in recognition of gallant and distinguished services in Afghanistan during the period 1st October 2010 to 31st March 2011 . 30 June 2011 promoted Lieutenant Colonel . London Gazette Supp. 59924, page 18713. London Gazette Supp. 59860, page 14180. 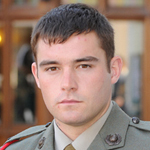 Marine David O'Sullivan, a veteran of Afghanistan, died from a drug overdose. 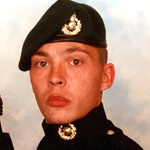 Ian Smith, Senior Coroner for Stoke-on-Trent and North Staffordshire, concluded David died from a "drug-related death on a background of PTSD after military service and for which due to a number of failings he did not receive treatment". Captain Mark O'Sullivan was awarded the Military Cross in recognition of gallant and distinguished service in Afghanistan in 2014 . 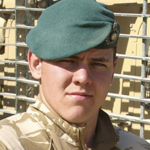 Marine Gary Ogden received a MiD in recognition of gallant and distinguished services in Afghanistan during the period 1st October 2007 to 31st March 2008. Major Matthew Parker received the Queen's Commendation for Valuable Service in Afghanistan in 2011 . Sergeant Andrew Pearson was awarded the Military Cross in recognition of gallant and distinguished service in Afghanistan. Marine Iain Penrose received a Mention in Despatches in recognition of gallant and distinguished service in Afghanistan. Sergeant Malcolm Pettitt received a Mention in Despatches in recognition of gallant and distinguished services in Afghanistan in 2008. Captain Johnathan Phelps received a Mention in Despatches in recognition of gallant and distinguished service in Afghanistan in 2010. 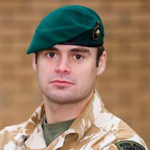 Captain James Philippson served in 29 Commando Regiment RA for 3 years as his first tour and left 29 for 7 Para RHA. He died during operations in Afghanistan with 7 RHA. 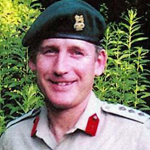 Colonel Richard Pickup died suddenly whilst posted as a defence advisor in Pretoria South Africa. 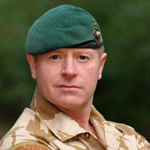 Richard Allan Pickup joined the Royal Marines in 1983 after university and was awarded the Sword of Honour at the CTCRM. After operational deployments to Northern Ireland and training in the Arctic, he was selected for Special Forces training and joined the SBS, later commanding the unit from 2000 until 2004 when he was appointed commander of the UK Forces in Kosovo. He also led the task force which spearheaded the British campaign in Afghanistan. Sergeant Mark Ramsey received the Queen's Commendation for Valuable Service in Afghanistan in 2011. Lance Corporal Hamish Renton was awarded the Military Cross in recognition of gallant and distinguished services in Afghanistan. 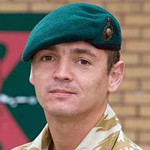 Lance Corporal Robert Richards was serving as Second-in-Command of a Viking All-Terrain Vehicle Section in 3rd Armoured Support Troop of the Armoured Support Group Royal Marines (ASGRM) when he was mortally wounded in the Nad e-Ali district of central Helmand, Afghanistan, on 22nd May 2009. He was evacuated to the UK but despite the best efforts of medical staff and his own extraordinary fight he died of his wounds on 27 May 2009. Acting Lance Corporal Harry Robinson was awarded the M.C. in recognition of gallant and distinguished services in Afghanistan during the period 1 October 2012 to 31 March 2013. Major Simon Rogers received a Mention in Despatches in recognition of gallant and distinguished services in Afghanistan . Marine Owen Rossi received a Mention in Despatches in recognition of gallant and distinguished service in Afghanistan in 2011. Warrant Officer 2 Paul Ryan received a Mention in Despatches in recognition of gallant and distinguished service in Afghanistan in 2010. Major Gerard Salzano was appointed M.B.E. (Military Division) in June 2000 .
in recognition of gallant and distinguished services in Afghanistan during the period 1st October 2001 to 31st March 2002 .
in recognition of gallant and distinguished services in Afghanistan during the period 1st October 2007 to 31st March 2008 . Captain Thomas Sawyer died in an explosion while taking part in a joint operation with a Danish Battle Group and the Afghan National Army north east of Gereshk in central Helmand. He was in a fire support team that was engaged in an operation to clear compounds in a known Taliban stronghold. 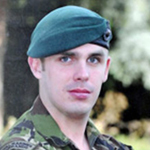 Also killed was Corporal Danny Winter 45 Commando RM. Major Michael Scanlon received the Queen's Commendation for Valuable Service in recognition of gallant and distinguished services in Afghanistan during the period 1 October 2012 to 31 March 2013. Colour Sergeant Stephen Scott was appointed M.B. E. (Military Division) in recognition of gallant and distinguished service in Afghanistan during the period 1st April 2011 to 30th September 2011. Captain David Seath died of a cardiac arrest whilst taking part in the 2016 London Marathon. 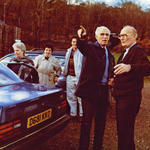 He was a fire support team commander for 29 Commando Regiment Royal Artillery, based in Plymouth. 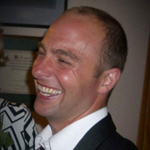 David Seath completed two master's degrees at the University of Aberdeen before attending the Royal Military Academy Sandhurst in 2009. 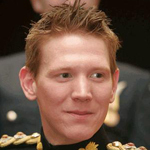 He was commissioned Lieutenant on the 14th August 2010 with seniority from 11 February 2009. Captain Seath served in Afghanistan in 2012. Marine Ryan Shelley was awarded the George Medal in recognition of gallant and distinguished service in Afghanistan . Corporal Matthew Silcock received a Mention in Despatches in recognition of gallant and distinguished service in Afghanistan. Corporal Darren Simpson received a Mention in Despatches in recognition of gallant and distinguished service in Afghanistan in 2010. Marine Darren Smith, 'X Ray' Company, was based in Forward Operating Base Nolay in southern Sangin. He was wounded in an ambush by Taliban fire and despite the efforts of his colleagues, he tragically died of his wounds en-route to the medical facilities at Camp Bastion. 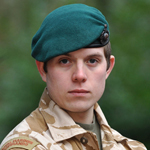 He had joined X-ray Company in July 2008 immediately after completing Royal Marines Commando Recruit Training. [Source: MOD]. Warrant Officer Michael Smith died from injuries sustained when a grenade was fired at the UK base in Sangin, Helmand Province. He had served in the military for almost 22 years and during that service had deployed on operations to Northern Ireland, Iraq, Kuwait and Afghanistan, some of them on more than one occasion, as well as on exercises to Brunei, Canada, Kenya, France and Norway. 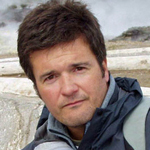 Captain Nigel Somerville was appointed M.B.E. (Military Division) in recognition of gallant and distinguished service in Afghanistan . Colour Sergeant Benn Soutine received a Mention in Despatches in recognition of gallant and distinguished services in Afghanistan in 2008. 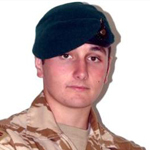 Marine Georgie Sparks died during operations in Afghanistan. He and Marine Tony Evans, both of J Company, had been conducting a foot patrol to the north-west of Lashkar Gah in Helmand province. Marines Sparks and Evans had moved on to the roof of a compound when, at around 0900 hours, there was an attack by insurgents armed with rocket-propelled grenades and they were badly wounded. Both received immediate medical attention and were moved to a secure location before being put on a helicopter to be transferred back to Camp Bastion. Marine Christian Stansfield, RMR Merseyside, collapsed and died of natural causes during a training mission in Norway. Christian joined the Royal Marines at the age of 17 and had served three tours of duty in Northern Ireland as well as a spell in Afghanistan. Corporal Anthony Stazicker was awarded the Conspicuous Gallantry Cross in recognition of gallant and distinguished service in Afghanistan in 2013. London Gazette Supp. 60813, page 5836. Corporal Seph Stephens, S.B.S., died during operations in Southern Afghanistan. He was hit by enemy small arms fire while he was protecting and inspiring his British and Afghan comrades. He made a conscious decision to move to provide more effective covering fire. Moving along what was a very exposed position while under accurate fire, increased the risk to him significantly. This act of selfless bravery, which almost certainly saved the lives of his comrades, was recognised by the posthumous award of the Conspicuous Gallantry Cross. Corporal John Stephenson received a Mention in Despatches in recognition of gallant and distinguished services in Afghanistan in 2008. Lieutenant Colonel Matthew Stovin-Bradford received the Queen's Commendation for Valuable Service in Afghanistan in 2011 . 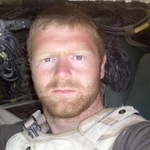 Marine Scott Summers died in a traffic accident that occurred on the 4th February after he had volunteered to drive in a routine convoy in Helmand province. 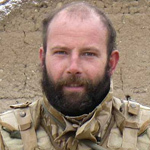 He received initial treatment in Afghanistan before being transported back to a specialist unit in the UK where he died on the 21st February. He joined the Royal Marines in January 2005 and deployed to Afghanistan in October 2006, and had been driving a Pinzgauer vehicle when the accident happened. [Source: MOD]. 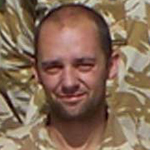 Sergeant Dean Sykes was awarded the M.C., in recognition of gallant and distinguished services in Afghanistan during the period 1st October 2007 to 31st March 2008. Sergeant Luke Taylor RM was attached to the Adjutant General's Corps, serving as part of Task Force Helmand when he was shot and killed at the main entrance to Lashkar Gah Main Operating Base in Helmand province. Lieutenant Martin Taylor O.B.E., was awarded the Bronze Star Medal conferred by the President of the United States of America in recognition of meritorious, gallant and distinguished service during coalition operations in Afghanistan. Lance Corporal Michael Taylor, Charlie Company, died during an exchange of fire with insurgent forces in the Sangin district of Helmand province. He was manning one of the sangars in the patrol base when the incident occurred. Marine Scott Taylor, Alpha Company, died as a result of an explosion which occurred when he and Alpha Company were conducting a foot patrol to help reassure the local population and to increase security within the area around Sangin. 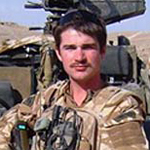 Corporal John Thompson was awarded the Conspicuous Gallantry Cross in recognition of gallant and distinguished service in Afghanistan in 2007 (1]. In 2003 as a Marine, he had received a MiD in recognition of gallant and distinguished service on operations in Iraq In 2003 . London Gazette Supp. 58396, page 10411. London Gazette Supp. 57100, page 6. 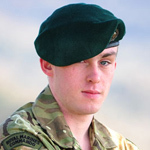 Lieutenant John Thornton, Charlie Company, was conducting a patrol in the vicinity of Kajaki, Helmand province, accompanied by Marine David Marsh, when the vehicle they were travelling in was caught in an explosion. Medical treatment was provided prior to both being evacuated to the field hospital at Camp Bastion. 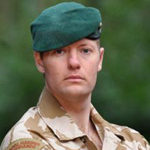 Acting Colour Sergeant Matthew Tomlinson was awarded the Conspicuous Gallantry Cross in recognition of gallant and distinguished services in Iraq In 2005 . Warrant Officer Class 2 Tomlinson, C.G.C., was awarded the Military Cross for gallant and distinguished services in Afghanistan in 2009 . Marine Alexander Tostevin received a Mention in Despatches in recognition of gallant and distinguished service in Afghanistan in 2010 . 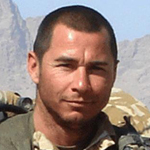 Corporal Robert Turner was awarded the Conspicuous Gallantry Cross in recognition of gallant and distinguished service in Afghanistan during the period 1st October 2009 to 31st March 2010. London Gazette Supp. 59554, page 18536. Major Martin Twist was awarded the Bronze Star Medal, conferred by the President of the United States of America, in recognition of meritorious, gallant and distinguished services during coalition operations in Afghanistan and Iraq . 30 June 2015 promoted Lieutenant Colonel . 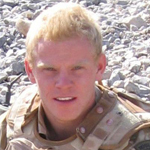 Sergeant Steven Veale was awarded the Military Cross for gallant and distinguished services in Afghanistan in 2007. London Gazette Supp. 58633, page 3613. Corporal Michael Waker received a MiD in recognition of gallant and distinguished services in Afghanistan during the period 1st October 2010 to 31st March 2011. Acting Sergeant Jason Walker received a Mention in Despatches in recognition of gallant and distinguished service in Afghanistan. 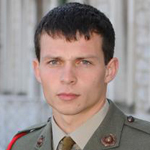 Corporal Stephen Walker died in an explosion that happened near Patrol Base Almas, in Sangin, Helmand province. He was conducting a joint foot patrol with the Afghan National Army to reassure and improve the security for the local population in the area when the incident took place. 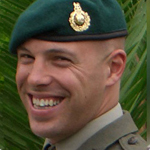 Sergeant Stuart Wallace received a MiD in recognition of gallant and distinguished services in Afghanistan in 2007. Marine Paul Warren, Charlie Company, was injured in an explosion when Patrol Base Airport Lounge was attacked by insurgents. Despite being given immediate first aid by his comrades, Marine Warren’s injuries proved to be fatal. 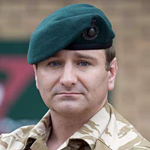 Paul Warren joined the Royal Marines on 22 May 2006, and on completion of recruit training was drafted to 45 Commando Royal Marines, based in Arbroath, Scotland, joining on 26 June 2007. Major Andrew Watkins received a Mention in Despatches in recognition of gallant and distinguished service in Afghanistan . Marine John Watson was awarded the M.C.in recognition of gallant and distinguished services in Afghanistan during the period 1st October 2010 to 31st March 2011.